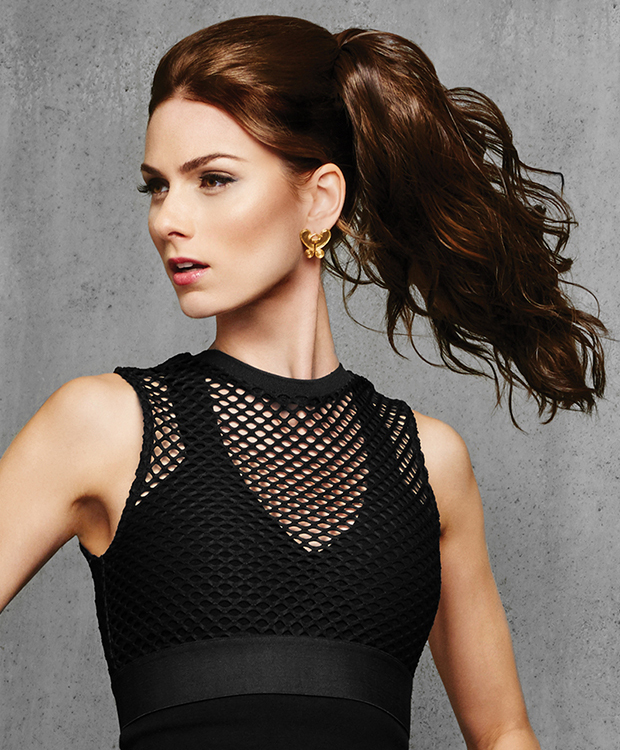 This simple clip-in ponytail gives you 18 inches of long wavy hair that works for a red carpet or a day at the beach. With a 3” flat clip you get a little height that looks a lot natural. The Tru2Life® heat-friendly synthetic hair makes changing your style as carefree as you.